Over the last few days, in the brief interim between London Collections: Men and Milan Men’s Fashion Week, Florence has played host to Pitti Uomo and with it, influential press and buyers from around the world. In a surprise but poignant and timely move, one show – Generation Africa – enlisted three asylum seekers to walk. 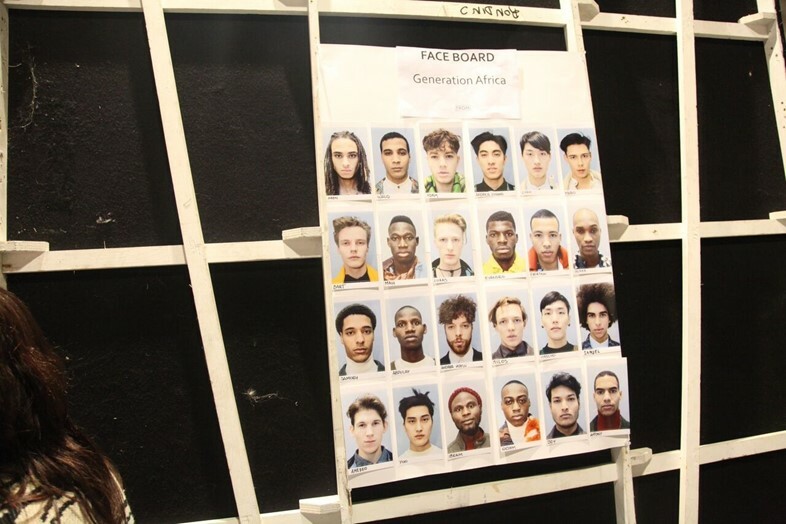 The show itself featured four African-designer labels – AKJP, Ikiré Jones, Lukhanyo Mdinigi x Nicholas Coutts and U.Mi-1 – as part of an initiative to promote young and talented designers from the continent. Speaking on the models in an interview with AFP, the designer behind Ikiré Jones, Nigerian-born Walé Oyéjidé, spoke of his belief in fashion’s power to change people’s perceptions. “If I take an asylum seeker and put them in a suit, people perceive them in a certain way, which hopefully allows them to think of them as an equal human being, not as someone’s less than them,” he said. “Clothing is just a vehicle, I'm much more interested in discussing these issues...of migration, of borders being crossed,” he went on to say.